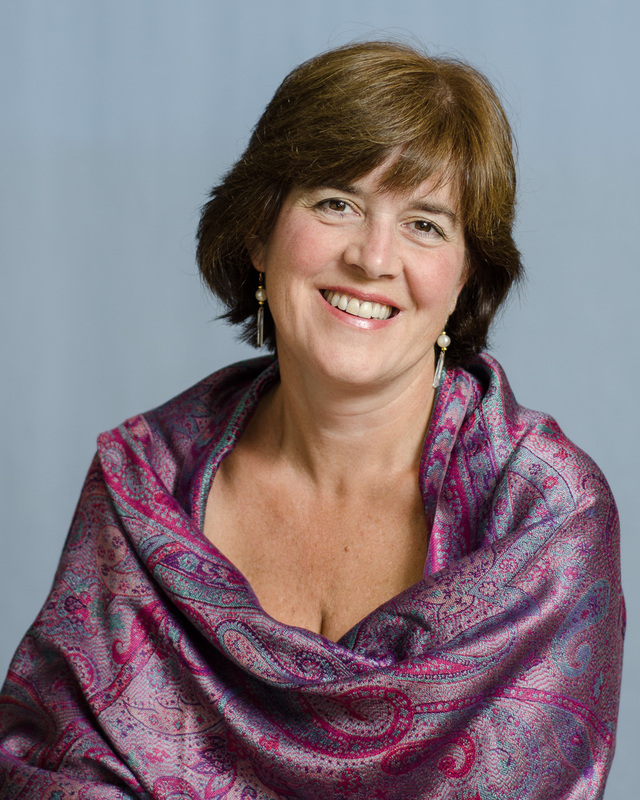 Mary Sullivan, soprano, has appeared as a soloist with numerous ensembles in New England, including the Oratorio Chorale, Cantemus, the Concord Women’s Chorus, and the Lincoln Festival Chorus. Other recent appearances include the Messiah sing hosted by the Downeast Singers under Artistic Director Anthony Antolini, and the King’s Chapel concert series in Boston. She has been presented as a recitalist at Bowdoin College’s Studzinski Recital Hall with pianist and Artist in Residence George Lopez, and was a featured soloist at the PORTopera gala fundraising dinner this past spring. Ms. Sullivan is the Artist in Residence with the Oratorio Chorale under Artistic Directory Emily Isaacson, for which she presented a solo recital as part of their concert season this past January. She is also the resident soloist at St. Peter’s Episcopal Church in Portland, with organist Herbert Taylor; and she has been a guest soloist at St. Andrew’s in Newcastle with organist Sean Fleming. In the summer of 2015, she will appear with Sean Fleming and the Maine Friends of Music in their series of chamber music concerts in the Midcoast area. She is featured on composer Steven Finch’s CD An Apple Gathering, and has sung world premieres of works by Mr. Finch and also by Boston-area composer Ruth Lomon. Ms. Sullivan is the producer on several CDs of classical vocal and instrumental music; two of the selections on the most recent CD, composer Graham Gordon Ramsay’s The Sacred Voice were nominated for Grammy awards by Albany Records. 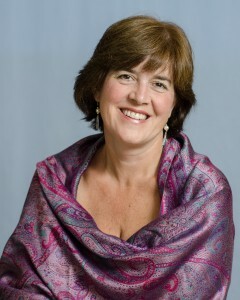 Ms. Sullivan studied voice with celebrated soprano Nancy Armstrong and mezzo soprano Pamela Dellal, and maintains a private voice studio in Brunswick, Maine. 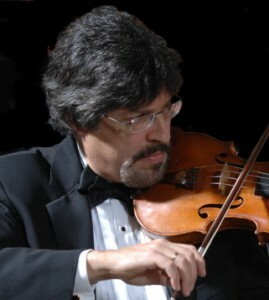 Graybert Beacham, violinist, violist, and conductor, has been an active performer and teacher throughout the United States and internationally. He holds both a Bachelor of Music and a Master of Music degree in Violin Performance from the Cleveland Institute of Music, where he was the recipient of the Dr. Jerome Gross Prize in Violin. Major teachers include David Cerone, Bernhard Goldschmidt, and Emanuel Borok. In addition, he has completed the coursework toward a DMA in Music Education at Boston University. Conducting studies have been with Kenneth Kiesler at the Conductors Retreat at Medomak, Lawrence Golan, and Max Bragado-Darman. Graybert has studied chamber music with members of both the LaSalle and Guarneri String Quartets. He has performed with the Mexico City Philharmonic, Tulsa Philharmonic, Orquesta Sinfónica de Minería, and Kansas City Philharmonic. He has also served as Acting Concertmaster of the Vermont Symphony Orchestra under the direction of Jaime Laredo, and as Concertmaster and soloist for the Cascade Festival of Music in Oregon. With the Portland (Maine) Symphony, he has performed as Concertmaster, Principal Second Violin, Principal Viola, and soloist. Graybert has performed as guest artist with the Portland String Quartet. In January 2011, Mr. Beacham toured China as a violin soloist with The New Sousa Band. Gandhi Ashram School in Kalimpong, India; University of Southern Maine School of Music, Bay Chamber Concerts Next Generation Program, Maine ASTA Summer String Conference, New England Suzuki Institute, Southern Maine String Academy, Oklahoma Summer Arts Institute, Sunriver Institute for Strings, Music Festival of Arkansas, and the Cleveland Institute of Music Preparatory Department. He has held the position of conductor with the University of Maine at Farmington Community Orchestra and has guest conducted the Midcoast Symphony on several occasions. He is an active conductor/clinician at various educational festivals in New England. Currently, Mr. Beacham is the string specialist for Maine School Administrative District No. 58, where he is designing and instituting a district-wide string program (currently grades 3-9). He maintains an active performing schedule with the Nordica Trio (clarinet, piano, and violin/viola), and performs with the Portland Symphony Orchestra. Recorded performances have been broadcast over public radio stations across the United States and Mexico, and he has recorded for Albany Records. 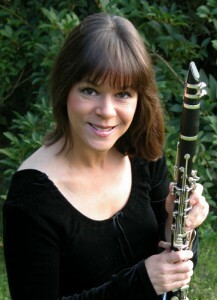 Karen Beacham, clarinetist, conductor, and educator, has held the position of Principal Clarinet with the Mexico City Philharmonic, Orquesta Sinfónica de Minería in Mexico City, and the Tulsa Philharmonic Orchestra. She has appeared as soloist with Mel Tormé and the Tulsa Philharmonic Orchestra, Maine Chamber Ensemble, Colby Symphony Orchestra, Augusta Symphony, and the University of Maine at Farmington Orchestra. She served as clarinetist/bass clarinetist /Eb clarinetist with the Sunriver Festival Chamber Orchestra in Sunriver, Oregon. Karen has participated in numerous festivals, including the Kneisel Hall Chamber Music Festival, Sebago-Long Lake Region Chamber Music Festival, Aspen Music Festival, New College Music Festival, and Norfolk Chamber Music Festival/Yale School of Music. An active performer, Ms. Beacham is clarinetist and Eb clarinetist with the internationally touring New Sousa Band under the direction of Keith Brion. As a member of this ensemble she has performed across the United States and the abroad, including the World Association of Symphonic Bands and Ensembles, the Mid-West Band and Orchestra Conference, and on a twelve-day concert tour of China in January 2011. She serves as principal clarinet with the Maine State Ballet Orchestra, and Portland Ballet Orchestra. In addition, she has performed as substitute E-flat Clarinet with the Boston Symphony Orchestra. Ms. Beacham is a founding member of the Nordica Trio, an ensemble for clarinet, violin/viola, and piano and has been a guest artist with the Portland and Daponte String Quartets. She also performs regularly with the Portland Symphony Orchestra. Dedicated to education, Karen’s teaching appointments have included both college and public school. She is currently instrumental music instructor and conductor at Mount Blue Regional School District (Maine), where she is the founder and director of the award winning Mt. Blue Jazz Band. Karen was Applied Music Associate in Clarinet at Colby College for 11 years and, continuing that association, traveled to India in January 2007 as teacher and performer in a collaborative program between Colby College and the Gandhi Ashram School in Kalimpong, West Bengal. Karen served as conductor of the Concert Band at the University of Maine at Farmington and as clarinet instructor at both the Southern Youth Music School (at the University of New Hampshire) and Southern Maine Music Academy (at the University of Southern Maine). Professional affiliations include The National Association for Music Education, Maine Music Educators Association and Kennebec Valley Music Educators Association as the 2012-2014 President. Ms. Beacham received a Bachelor of Music from the Philadelphia College of the Performing Arts where she studied with Donald Montanaro, assistant Principal and Eb clarinetist of the Philadelphia Orchestra. While there, she performed with the PCPA Orchestra as a winner of the Helen P. Neuman Solo Competition. Karen received her Master of Music Degree at the New England Conservatory of Music as a student of Harold Wright, Principal Clarinetist with the Boston Symphony Orchestra. Her conducting studies have been with Dr. Peter Martin at the University of Southern Maine and Kenneth Kiesler at the Conductor’s Retreat at Medomak in Washington, Maine.